The hip-hop star's first album debuts May 12, but he learned to market his music in adland. 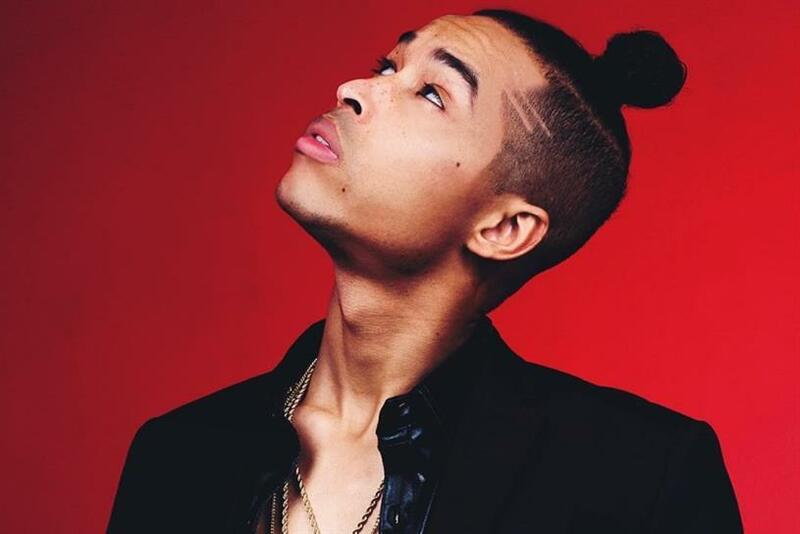 Sir the Baptist has opened for Beyoncé, won accolades from Jay-Z and performed in a coffin onstage at Lollapalooza. But just a few years ago, he was better known as William James Stokes, an ad man from the South Side of Chicago working on the McDonald’s account at Leo Burnett. He realized the techniques he was using to promote other musicians would work for his own music as well. So he gave up his steady agency job to pursue his music career and started driving for Lyft to make ends meet, networking with the people he picked up and recording with equipment he kept under his seat. After signing with Atlantic Records a year ago, he gave up driving other people around, but he returned to Lyft late last year with a song written for the ride sharing app’s branded short film, "June," directed by John Kahrs of "Monsters Inc." and "Toy Story 2." Sir the Baptist’s debut album "Saint or Sinner" from Atlantic Records drops May 12. Ahead of the premiere next week, he spoke with Campaign US about the influences he’s carried with him from his advertising days. How did you get into advertising in the first place? I've always had a knack for marketing and branding. That goes back to when I was a child helping my dad in the church or in the early branding of my artist career. But through some networking and introductions I got my first position in digital marketing at Leo Burnett. What accounts did you work on? I quickly transitioned to Artist & Brands, which was a partnership between McDonald's, Leo Burnett and [music producer] Rodney Jerkins. This allowed me to work with McDonald's and many other brands. This allowed me to work with McDonald's and many other brands. One of the biggest projects that I worked on was implementing a digital jukebox in all McDonald's wi-fi networks nationwide. This experience made me realized that I could replicate these kinds of ideas to my own music career. Why did you decide to leave the advertising industry? I wanted to invest in myself and put these ideas to build and better my career. I realized that I had a sound that wasn't as conducive to work for other artists as myself, and so I decided to go all-in to push my career. You ended up homeless and driving a car for Lyft afterward. Was being an ad man really worse than that? I enjoyed my time in the ad world, but I always knew that I had a larger calling to be a preacher, as my father was in the church. Except my preaching applies to a larger group of people at music festivals, over the radio and beyond. I wouldn't say that the ad world was holding me back, but I did feel a sense of liberation when I had to make my music career work. Especially when I was driving Lyft and sleeping out of the back of my van. Most agencies struggle to attract and keep talented people of color. Did that play a role in your departure? I can't say that race was a primary reason for leaving the ad world. But I will say that I was one of the few black creatives in the films that I worked in, and there was certainly a sense of inequality that exists in the advertising world. Is there anything you learned in advertising that you use in your career as a musician? Absolutely. I use a lot of the marketing, branding and ad ideas that I learned at Leo and Artist & Brands in my current music career. I loved working for McDonald's. Implementing the digital jukebox on their wi-fi network and seeing millions of streams and downloads on their system really gave me the confidence to know that I can do the same for my artist career. You recently wrote the song "Movin’" for a Lyft ad. What's better, making ads or being in them? What was great about Lyft is that I was able to score a section of their short film. So it was a mix of being featured in the film but also creating the score to fit the scene and what the company needed for that section. More importantly, I have a very deep connection to the company. They helped me get through a time in my life to get to where I'm at now as a recording artist. And I was also able to perform at their 2016 Holiday Party in San Francisco and develop a strong relationship with their co-founder John Zimmer. John the Baptist came to a bad end. Do you expect a similar fate? We shall see! I am prepared for whatever the future holds for my fate. But I know that I have been sent here to change the culture and heal music and hip hop in a way never done before. That is my sole goal right now for 2017.